Yes, that’s right: rotating art every day, a new feature of the Bleat. For no apparent reason. 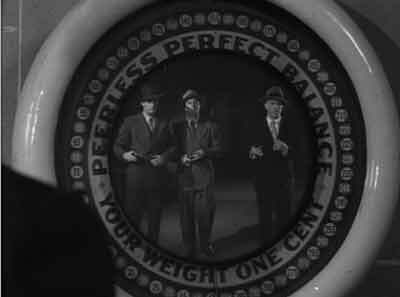 Today’s picture is taken from the noir movie discussed below, a rare moment of “art” in a generally grim film. Interminable day. Woke early, got Gnat off to a class; she went to a neighbor’s house to play, and then they came over here. No one could go outside – it was ninety-plus again, another eyeball-melting day in the Great Summer of the Constant Inferno. Me, I love it; hot days I can bear easily, and warm nights are heaven. To sit outside in the shadows, a cool drink in hand, waiting for the moment when the crickets begin – perfect. And for anyone who complains, well, just wait: in two and a half months the only sound outside at night will be the wind pushing around dead leaves, sounding like fingerbones rustling through a drawer full of dead letters. Rather charmless. 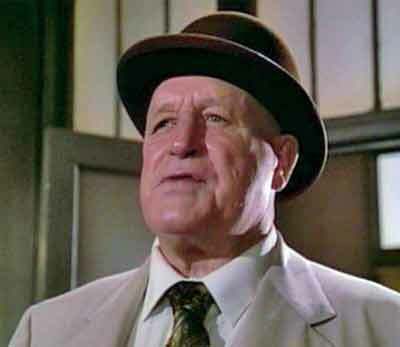 It’s hampered by the lead, Lawrence Tierney, who truly does the humorless SOB routine well, but that’s the problem: Dillinger never struck me as humorless. 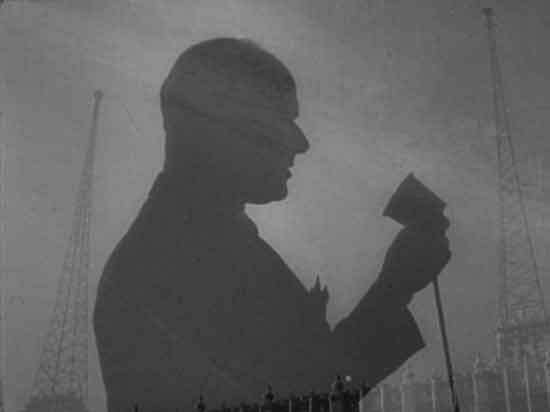 He had a certain jauntiness, what with his crooked grin and straw boater and occasional flashes of politeness. Here’s the movie version. 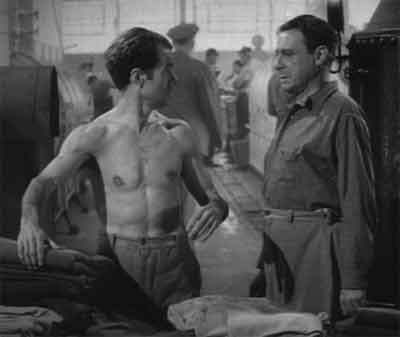 Tierney, incidentally, was a bit of an SOB himself, abetted by an abiding love of liquor. He later gained much weight and did TV, almost unrecognizable. 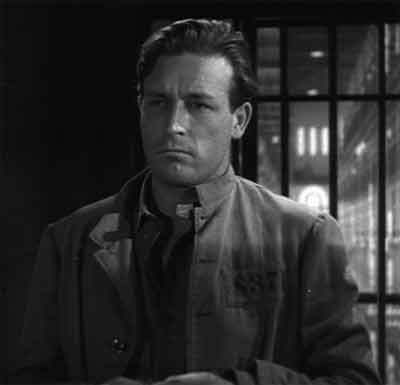 Here, for example: Dillinger does Star Trek – in this case, Cyrus Redblock, a holodeck crime boss. You know, one of those. 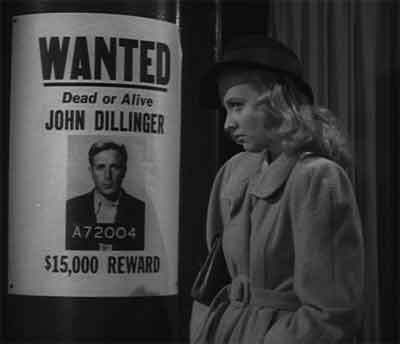 There’s a dame, of course; here she passes a wanted poster. 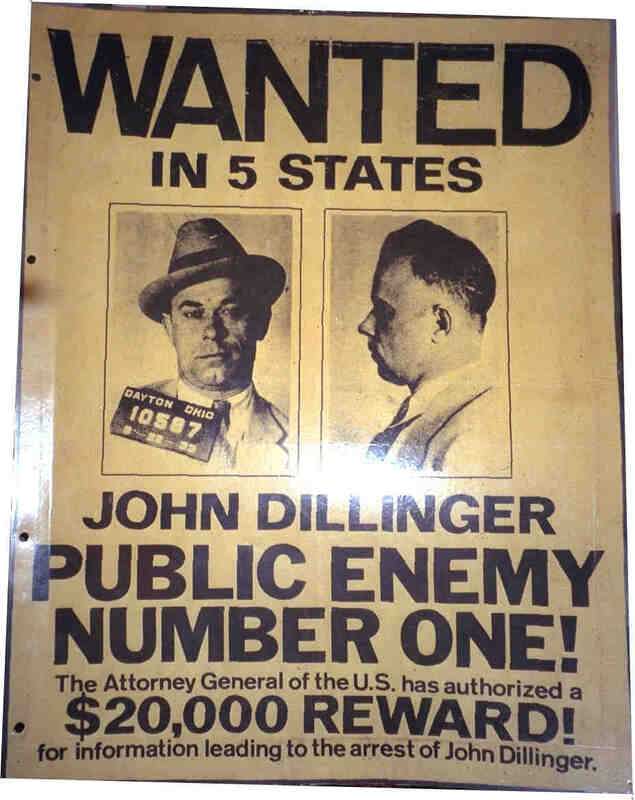 Note the date. 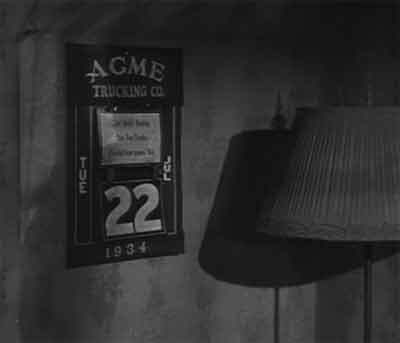 At the time it never occurred to anyone that 60 years in the future people would use computers to establish that July 22, 1934 was not a Tuesday. They might well have asked: who cares? 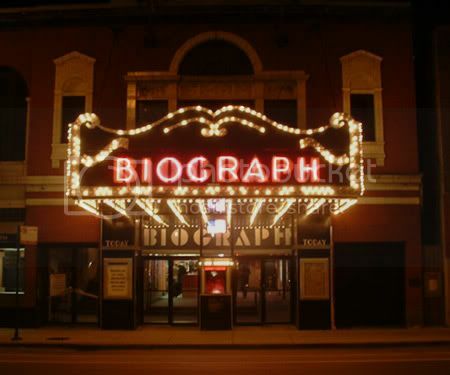 Dillinger was shot at the Biograph theater. It did not look like this. It looks even worse in the movie – a cheap piece of animation stuck on a still photograph. 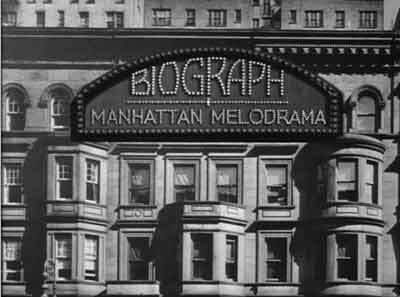 The real Biograph looked like this, and looks like this today. 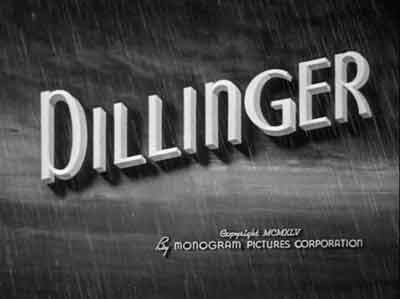 Outside the theater, Dillinger paused at a scale. 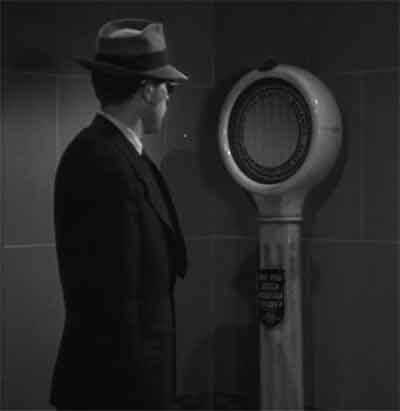 These things used to be everywhere; I dimly recall giant scales in public places. Pop in a penny, get your weight and fortune. I hadn’t thought of them in years. I’m reading the 1921 strips of “Gasoline Alley,” and Walt worries about his weight from time to time, vowing to cut out sugar and starch. Americans have been weight conscious much longer than you’d think. Here come the triggermen. Note the brand: that’s a Peerless scale. In the 20s they had a virtual monopoly on public scales, and make their piles entirely in pennies. Nanopayments, the Early Years!